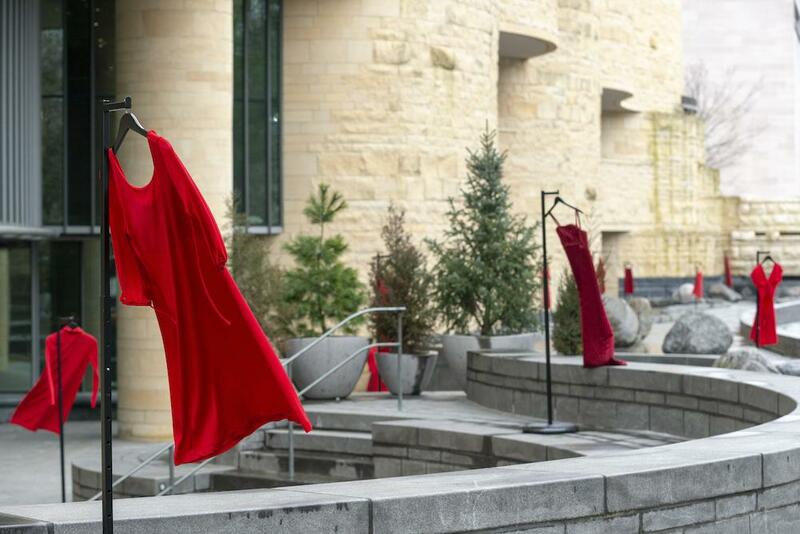 The dresses resemble red specters, floating from hangers in tree branches, building beams or museum displays. Whether they flutter in the wind or drape eerily still, the dresses are not what haunts you but rather the absence of those who wore them. 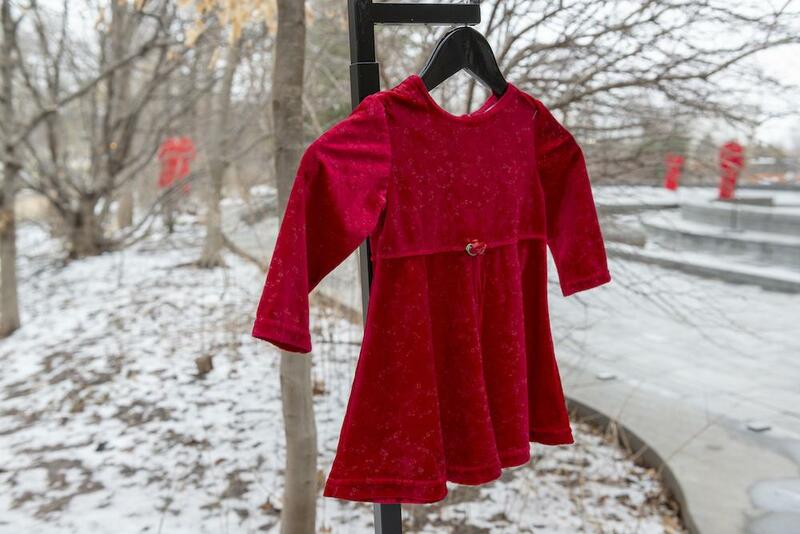 Part of The REDress Project, they represent the hundreds – perhaps thousands – of North American Indigenous women and girls who have been murdered or disappeared during the past four decades. Statistics of how many North American Indigenous women and girls are missing or have been murdered are estimates at best. According to a 2016 U.S. National Institute of Justice report, at least four out of five U.S. Native women have experienced some violence in their lives. In Canada, the Royal Canadian Mounted Police reported in 2014 about 1,200 went missing or were known to be murdered between 1980 and 2012. After decades of pressure from Indigenous groups, the Canadian government launched the National Inquiry into Missing and Murdered Indigenous Women and Girls in 2016 not only to try to gather accurate statistics of all of these victims of violence but also to investigate the social and economic causes behind violence against Indigenous women, girls and those who identify as female or who are nonbinary. Although various organizations and agencies have produced more than 1,200 recommendations to address violence against these Indigenous populations during the past four decades, many have not been implemented. The National Inquiry is the first study in Canada to cover this issue across so many populations and to seek to “engage people in telling their own stories.” says Karine Duhamel (Anishinaabe/Métis), the inquiry’s director of research. “We are just not looking at statistics or people as statistics. We are putting this in context.” As of February 2019, the inquiry had gathered more than 2,000 testimonies from families and survivors. Three years ago, government and tribal representatives from Mexico, Canada and the United States met to create the Trilateral Working Group on Violence against Indigenous Women and Girls to evaluate how to address this issue in all of these countries. Yet recently the one established U.S. law that strived specifically to offer women some protections, the Violence Against Women Act, expired during the 2018–2019 government shutdown. The U.S. Congress did agree to continue funding through September 2019 for some federal programs designed to aid women who are victims of violence. The REDress installations have provided families of the missing and murdered as well as survivors of violence a place to grieve and heal together. Tour after tour, family members have come up to Black to tell them their painful stories of loss and, in many cases, lack of resolution. 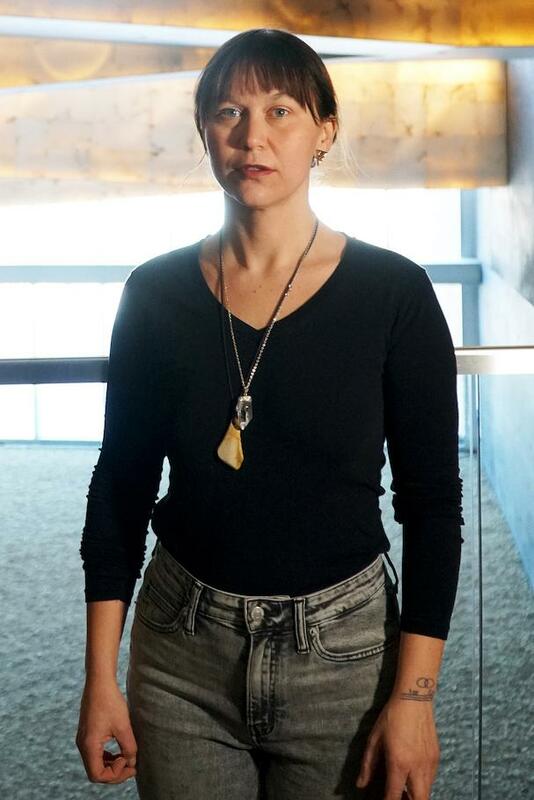 During one of her first shows, a family drove nine hours to Winnipeg to donate their murdered daughter’s dress to the installation. “They used that space to mourn,” says Black. The REDress Project has also inspired others to display red dresses in their communities or start their own related projects. One Cree jingle dancer, Tia Wood, encouraged many fellow dancers at the 2017 Canada’s Gathering of Nations Powwow to wear red to honor the murdered and missing Indigenous women. Sasha Doucette (Mi’kmaq) began photographing red dresses or red ribbon shirts at sites in Eskasoni, Nova Scotia, where Indigenous men and women have died from violence. Black says while The REDress Project has been rewarding, “It is emotionally difficult work to do.” Starting in 2016, she sought other ways to heal herself and others connected to the project. This brought her back to the teachings of her Anishinaabe grandfather who “understood and respected the land,” says Black. “I began to think about ‘where do we reconnect and get our power back?’ For me, that is being out on the land.” She started performing art during which she interacts with nature. On March 21, the day of the Safety for Our Sisters symposium (below), Black is scheduled to give a performance at the NMAI REDress installation along its Riverwalk. On March 21, NMAI hosts Safety for Our Sisters: Ending Violence Against Native Women to draw vitally needed attention to the pressing and pervasive issue of violence against Native women. The symposium explores the causes and consequences of this abuse and discusses the legal issues involved in these acts of violence. By shining a broad light on this grim and painful issue, the symposium aims to educate both Native and non-Native attendees about this egregious human rights violation and how together we might transform the situation. The artists, activists and scholars scheduled to speak are: Jaime Black (Métis), the multidisciplinary artist who founded The REDress Project; Sarah Deer (Muscogee [Creek] Nation of Oklahoma), a lawyer and professor of Women, Gender and Sexuality Studies at the University of Kansas; Cherrah Giles (Muscogee [Creek] Nation), board chair of the National Indigenous Women’s Resource Center; Mary Kathryn Nagle (Cherokee Nation of Oklahoma), a partner at Pipestem Law, P.C, and playwright; and Marita Growing Thunder (Fort Peck and Assiniboine Sioux Tribes), a student at the University of Montana who started the Save Our Sisters walk in 2017. Sari Horwitz, a Pulitzer Prize-winning reporter for The Washington Post, will moderate the symposium. Attendees can join the symposium from 2 p.m. to 5:30 p.m. either in the Rasmuson Theater at NMAI – D.C. or online at AmericanIndian.si.edu/multimedia/webcasts. This project received support from the Smithsonian American Women’s History Initiative (womenshistory.si.edu).